Welcome to the SR Machining Web Site! With extensive experience in CNC turning, CNC milling and fabrication of a wide range of engineered plastics, stainless steels, metal alloys and other metals, SR Machining is ready to meet or exceed customers precision plastic machining and CNC machining metal and fabrication needs. 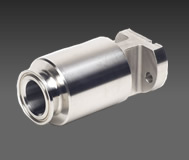 Our specialties include precision medical components for various medical devices, as well as parts for the automotive sector, and many other industries such as aircraft and aerospace, industrial and commercial. We pride ourselves in meeting the specific tolerances in terms of CNC milled and machined plastics and metals of each and every one of our customers. 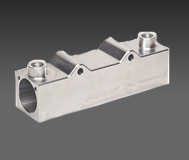 Whatever the tolerances for your components are, SR Machining can meet or surpass them. Our quality system is ABS certified to ISO 9001 and AS9100 to ensure full compliance to all applicable industrial and aerospace quality requirements. One of the strengths of SR Machining is our full range of in-house CNC machining capabilities, including engineering and inspection. 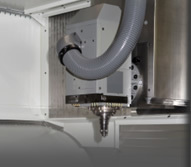 In addition, a wide range of equipment is available to perform the production CNC machining needed to deliver a consistent end product – whether it be in terms of plastic CNC machining, metal CNC machining, precision turned manufacturing or production CNC machining. SR Machining has access to a broad variety of plastics and metals from an extensive number of vendors, giving you the availability to have your precision component machined, turned and milled in whatever material you choose. 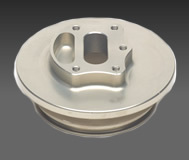 Located in southern California, SR Machining is strategically situated to manufacture and deliver precision plastic and metal machined parts to customers up and down the west coast, the southwest, as well as nationwide – in other words, we can develop and machine precision metal and plastic components for any client, regardless of their location. Contact us today with all your precision-machined metal and plastic components and parts needs!